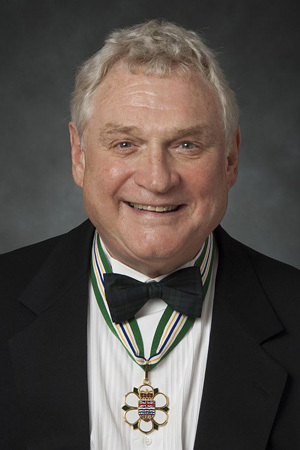 A long-time participant in British Columbia’s political life, Gordon Gibson has been a significant contributor to informed public discourse on public issues in British Columbia for decades. Mr. Gibson served as assistant to the Prime Minister from 1968 to 1972, ran in three federal elections, and was elected to the provincial Legislature twice. Since leaving elected office, Mr. Gibson has been a prolific writer and commentator on public policy issues. 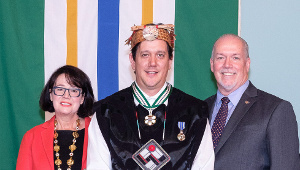 He was commissioned to design British Columbia’s Citizen’s Assembly on Electoral Reform and has written on senate reform, national unity, Aboriginal issues, and the role of British Columbia in confederation. He has contributed to the quality of public debate on these and other topics. 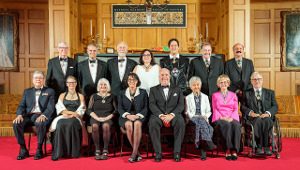 Mr. Gibson serves on the board of the Westshore Terminals Income Fund and on the advisory boards of the University of British Columbia Graduate School of Journalism and the UBC Centre for the Study of Democratic Institutions. He is an honorary director of the BC Civil Liberties Association, and the advisory board of the Canadian Constitution Foundation. 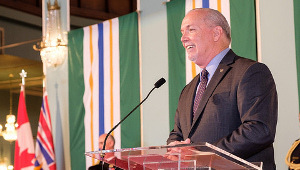 Mr. Gibson has enriched our province and aided British Columbians in their search for solutions to complex issues.